Inflatable races are always a winner with large groups! This is where the teams come head to head on a fantastic range of vibrant games. With music, foam and lots of action we pride ourselves on providing a top quality event. The format and structure of the event may vary depending upon the amount of attendees. It may be run as one large event with a number of inflatables, or 2 smaller event depending upon the format we agree would fit best. 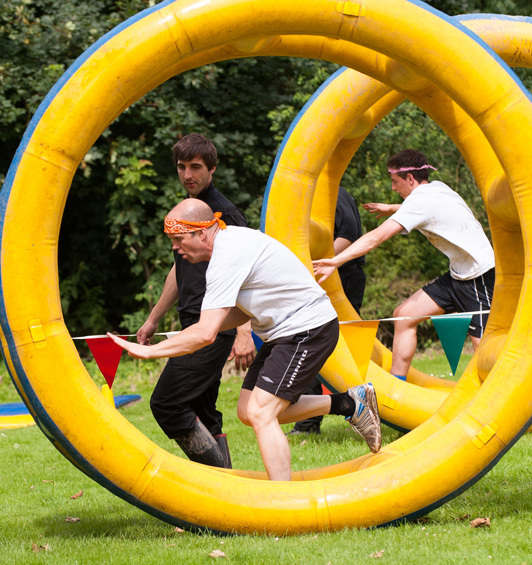 Check out the video below to see our infltables in action at one of our Knockout events. "In my fifteen years of partaking in a host of corporate activies for companies, your dynamics, structuring of events, timing and delivery was brilliant. Thanks again"